You are here: Home / Consulting / Why Should I get my Pasture Tested? Your horse, or cow, or other grazing animal depends on its pasture to supply it with life-giving nutrients. There is a long list of nutrients in forage, including carbohydrates, proteins, fats, vitamins, minerals, fiber, enzymes and various phytonutrients, such as antioxidants. Even the structured water in the plants is important for maximizing your animal’s health. Getting the right balance and forms of nutrients is key. Animals and people are meant to get their nutrients from food sources, not from ground up rocks and synthetic vitamins in “feed supplements”and “food supplements”. Plants are meant to utilize soil nutrients and complex them into food for animals and humans. Plant-sourced nutrients are better utilized at the cellular level, whereas ground up rocks, such as calcium phosphate, can end up causing metabolic problems such as soft tissue calcification. Your pasture soil needs to be balanced with the right amounts of the various minerals, organic matter and water needed to support a thriving, diverse community of beneficial microbial life which, in turn, make nutrients available to the plants. The plants can then grow into healthy food for your animals. If your soil contains too little or too much of certain nutrients you will have problems, resulting in poor quality food which does not support your animal’s health. For example, too much potassium can cause metabolic syndrome in horses, leading to laminitis and founder. Too little zinc can result in cracked hooves. Copper deficiency can result in loss of skin pigmentation, hoof thrush and “rain rot”. 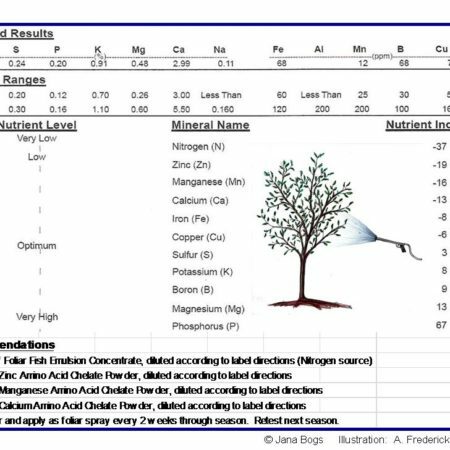 Getting a good quality, comprehensive soil analysis including at least 12 mineral elements (preferably more), pH, cation exchange capacity, and organic matter is a great start. This will tell you what you need to put on the soil. Having the actual pasture grass analyzed can be helpful as well. Nutrients can be sprayed on the grass to immediately improve the health of the grass. Ideally, you should grow a variety of forages in your pasture so your animals can pick and choose what they need. In the wild, the animals would roam over a large area intuitively choosing what they need. Because we fence them in to a limited area, it’s up to us to help them achieve their needs. The love and effort we put into our pastures will return to us in the form of healthier, happier animals with fewer vet bills. 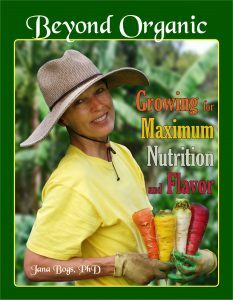 For more information, check out my book, Beyond Organic…Growing for Maximum Nutrition and Flavor. It has a chapter dedicated to livestock, with an emphasis on horses. It’s available with free shipping on my website, www.BeyondOrganicConsulting.com . Aloha! 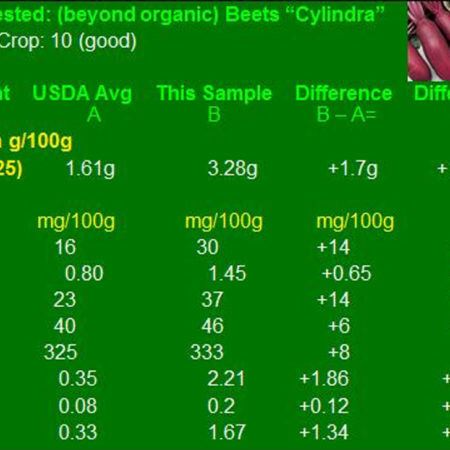 http://beyondorganicresearch.com/wp-content/uploads/2017/06/bor-logo.jpg 0 0 Dr. Jana Bogs http://beyondorganicresearch.com/wp-content/uploads/2017/06/bor-logo.jpg Dr. Jana Bogs2015-08-18 16:09:132015-08-18 16:09:13Why Should I get my Pasture Tested? Dr. Bogs is a Finalist in a World-Wide Contest--Please Vote! Can Nutrient-Rich Foods Influence Weight Loss? Creating Success for Hawaii from the Soil Up!